Color-Changing Lighting Control Hub - Aquascape, Inc. 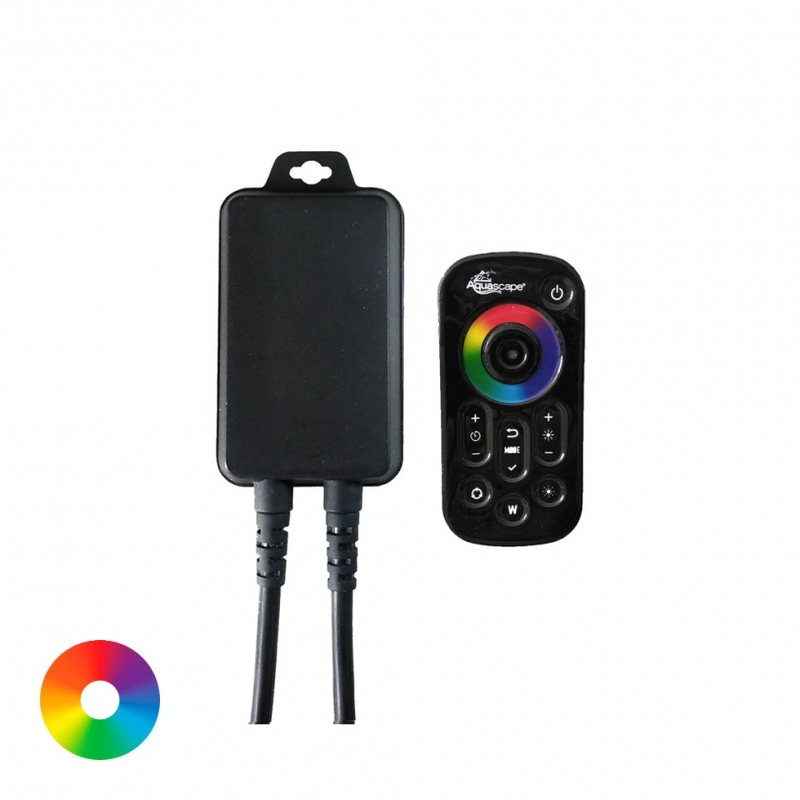 The Aquascape Color-Changing Lighting Control Hub is required to run and control Aquascape Color-Changing Lights, allowing you to use the included remote to wirelessly control a wide variety of color options and settings. Each hub can control up to 150-Watts of Aquascape Color-Changing Lights. 12-Volt, weather-proof, quick-connect fittings make installation quick and easy. A 12-Volt transformer is required to power the control hub and connected lights. Use Aquascape Color-Changing and extension cables to connect multiple lights to one control hub. Use multiple hubs to control separate sets of lights simultaneously, further expanding the variety of lighting options. Aquascape is passionate about the products we produce, providing unique products, designs, and features that stand above the competition.